This qualification is registered at level 2 on the National Qualifications Framework. It provides learners with the opportunity to access learning in broad Agri Trade processes and practices, which include opportunities for learners to grow in the specific field. Learners will be able to combine fundamental, core and elective unit standards in order to gain competence linked to best practice. Learners will, once qualified and assessed as competent, be able to demonstrate competence in ordering, receiving, pricing, storing and selling of merchandise as well as stock taking and completing of sales transactions. Learners will also demonstrate an understanding of the Agri Trade Industry. This qualification is registered at level 4 on the National Qualifications Framework. It provides learners with the opportunity to access learning in Agri Sales and Services, which include opportunities for learners to grow in the specific field. Learners will be able to combine fundamental, core and elective unit standards in order to gain competence linked to best practice. Learners will, once qualified and assessed as competent, be able to demonstrate competence in ordering, receiving, pricing, storing, selling and marketing of merchandise as well as implementing and running promotions. Learners will demonstrate an understanding of broader business principles such as interpretation of financial reports applicable to the Agri Trade as well as coordinating promotional activities, customer service and supervision of people. The qualification provides learners with the opportunity to gain competence in poultry production and will facilitate their securing employment in the industry. For those who are already employed in a poultry production farm, the multi-skilling that the qualification offers will expand their horizons and allow them to follow career paths in other sectors of the industry. Care for the poultry environment. Feed, rear and care for poultry. Apply bio-security principles on a poultry farm. Perform basic poultry health care tasks. Operate poultry drinkers and drinking systems. Operate poultry feeders and feeding systems. The upskilling of the learners at this level will have a positive impact on the efficiency and profitability of a production unit. The qualification addresses the urgent need for adopting nationally accepted standards for the industry, especially within the SMME sector. This will allow them to operate on a more professional basis. The observance of strict health, hygiene and bio-security principles will minimize the risks that these role players currently face. This qualification and the resultant skills that are learnt will make a positive contribution to the establishment or improvement of poultry farms in the rural areas that can serve their communities and distant markets. The qualification embodies the international requirements for poultry handling and care that will ensure the production of high quality poultry. The qualification provides learners with the opportunity to gain competence in poultry production and will facilitate their securing employment in the industry. For those who are already employed in a poultry production farm, the multi-skilling that the qualification offers will open up a career path in the industry. Adjust and maintain the poultry house environmental control equipment. Feed, rear and ensure primary care of poultry. Apply poultry bio-security on a production facility/farm. 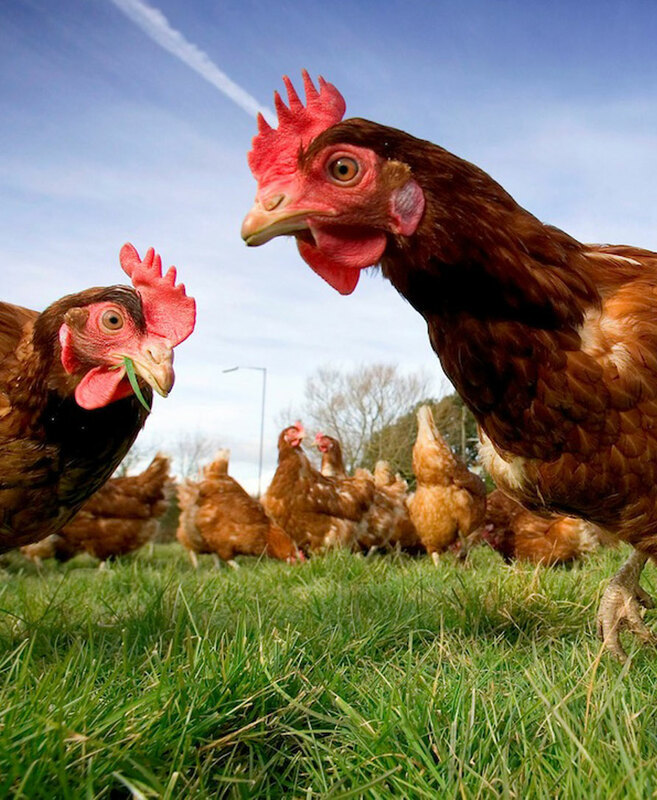 Perform poultry health care, including medication and vaccination. Operate and maintain poultry drinkers and drinking systems. Operate and maintain poultry feeders and feeding systems. The generic nature of the qualification will facilitate multi-skilling, which in turn, will have a positive impact on the efficiency and productivity of the production farms. The upskilling of the learners at this level will have a positive impact on the efficiency and profitability of a production farm. The qualification addresses the urgent need for the adoption of nationally accepted standards for the industry, especially within the SMME sector. This will allow them to operate on a more professional basis. The observance of strict health, hygiene and bio-security principles will minimize the risks that these role players currently face. This qualification and the resultant skills that are learnt will make a positive contribution to the establishment of small farms in the rural areas that can serve their communities and distant markets. The qualification embodies the international requirements for poultry handling and care which will ensure that poultry of a high quality will be produced.